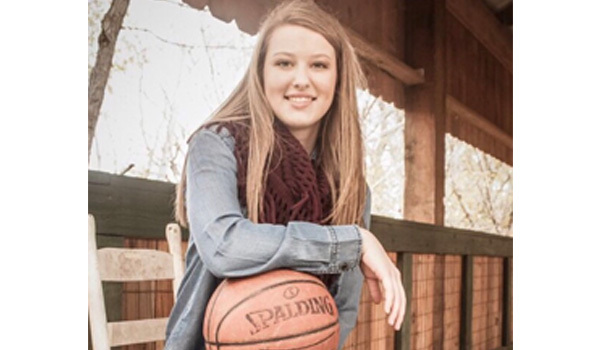 Taylor Joplin earned Sports in Kansas 3A Player of the Year. Taylor Joplin, Garden Plain, 6-0, Sr.
Taylor Joplin finished her career with more than 1,000 points. She led the Owls with a 23-1 record and the program’s first state title since 2001. More than the points, though, coach Kody Kasselman was pleased with Joplin’s traits of leadership, hard work and team play. Joplin averaged 19 points, three assists and two blocks at the state tournament. Overall, she averaged 14.6 points, 5.7 rebounds a contest, both team bests. Joplin has signed with junior college powerhouse Western Nebraska. She was the only GP player who averaged more than 7.3 points per game. GP had turnovers on just 19 percent of possessions and scored .97 points per possession, both high efficiency marks. Garden Plain High School would like to congratulate the 2018 3A State Champion Garden Plain Owls Basketball Team. They would also like to congratulate Taylor Joplin and Kody Kasselman on their 3A Player of the Year and Coach of the Year Honors from Sports in Kansas. Garden Plain Booster Club would like to congratulate the 3A State Champion Garden Plain Owls Girls Basketball Team. They would also like to congratulate Taylor Joplin and Kody Kasselman on their 3A Player of the Year and Coach of the Year Honors from Sports in Kansas.